"Tadka Chaas is a popular variant in yoghurt drinks, as the crunchiness of tempered spices in chaach gives the drink a bit of body, color as well as bite." 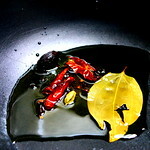 "Tempering is the brief frying of spices (especially in various South Asian cuisines) to release their aroma. 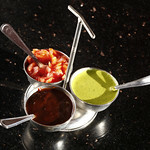 It is a popular garnishing technique used in various parts of India, Bangladesh, and Pakistan." 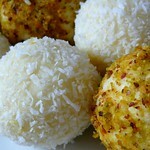 Isha teaches Hosh Coconut Balls dessert recipe. Cheap & simple, yet all her guests love this dish. 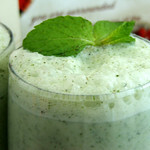 "This Lassi is great as a digestif, a starter, a small meal, a quick meal, and for when you don't want to cook a meal." "It is also just what you need in those hungry moments, when you can't be bothered to eat, much less cook." Learn to easily make Chicken or Fish Marinate. 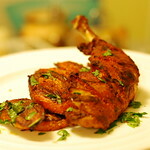 Isha teaches her son how to simply, quickly and safely marinate chicken or fish, and flavor the dish consistently. 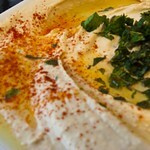 Isha teaches how to make Chickpeas Dip - Hummus, a world famous, fast and simple Middle Eastern puree. Tips on how to tweak ingredients and get different tastes. 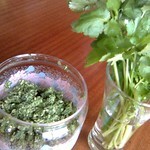 How to quickly make Coriander And Coconut Chutney? Isha teaches Hosh a simple, cheap recipe that looks & tastes restaurant style, but can also be easily modified. 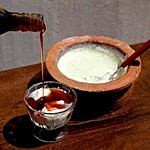 Isha teaches Hosh how to make organic yoghurt from milk. Quick & easy recipe. Learn to easily cook tempered coriander coconut chutney. Isha teaches Hosh how to simply modify quantity & recipe of this side dish to suit different palates. 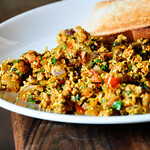 Isha teaches Hosh how to cook a spicy Indian scrambled eggs recipe. 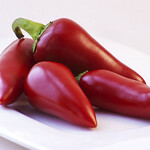 How to make Green or Red Chili Pastes, which to use when & how to store them safely?